Nicholas Dausi, Minister of Information and Communications Technology left his former cabinet and Democratic Progressive Party (DPP) colleague George Chaponda in a bad position after he testified against him in court yesterday. 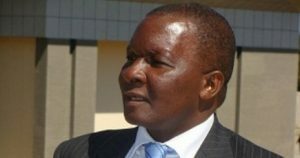 Chaponda who is answering charges related to money laundering and having forex without proper authorisation had earl;ier made claims that the K95 million in cash which was seized from his house belonged to the ruling Democratic Progressive Party (DPP). However, under oath, Dausi denied Chaponda’s statement that he was meant to collect the money from Chaponda after a fund raising event for DPP. In his clients defense, Chaponda’s lawyer sought to demonstrate the financial status of the former minister saying the money that was seized by the Anti-Corruption Bureau was from the proceeds of a real estate property sale in 2014. ACB Prosecutor, Imran Saidi, reminded the defense team that Chaponda is being accused of giving false testimony to the bureau when he claimed that the money belonged to DPP. The State prosecutor also wondered why Chaponda kept listing the property under his name when he claims it was sold to which Chokotho said the sale had not been finalized since full payment had not yet been made. Chaponda’s case will continue in Zomba on March 6, 2018.